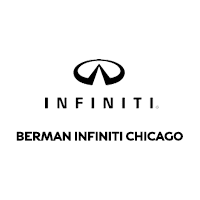 At Berman INFINITI Chicago some of our customers prefer to pay for their vehicles up front, but most of our customers prefer to finance their purchases. At our dealership, it’s easy to secure auto financing whether you’re buying a new or used vehicle. Our goal is to get you approved quickly without any stress and make sure you understand every part of your loan. Berman INFINITI Chicago has strong relationships and is committed to finding you the perfect car loan company to suit your car finance needs. Our dealership offers competitive financing and doesn’t discriminate based on credit history. Low interest car loans are available for customers with existing loans. We can help you refinance your car loan or adjust the term of the contract. You’re just a step away from approved car financing! When it comes to car loans and lease plans, you can expect to find some of the most competitive financing rates at Berman INFINITI Chicago. Our finance specialists learn about your budget and financing needs, and then we provide a tailored experience to work you through the financing process. Budget Friendly Solutions: We offer our customers a wide range of carefully chosen financing options, from among the most competitive and affordable lenders available. Speedy Application Process: Our Finance Department will work with you to complete your personalized credit application as quickly as possible. Honesty and Integrity: Integrity is one of the most important aspects of our business. Our lenders have a great reputation of keeping personal information private. During the application process, our finance specialists will work with you to collect your information, or you can enter it into our protected online application. We’re committed to protecting your privacy during this process. Getting approved for a car loan online is free and convenient. The best part? There’s no obligation to buy. Whether it is a brand new INFINITI or one of the many great options from our used car inventory, auto loans are available for all makes and models. Apply online today using our car financing application form and get approved quickly.